Note: I used 8 oz of chocolate and 4 tablespoons of butter because I covered all of mine, but I’ll explain more later. In a large bowl, mix together nuts, cookies, sugar and cocoa. Add in corn syrup and rum and mix until everything sticks together. Cover and refrigerate about an hour (or overnight). 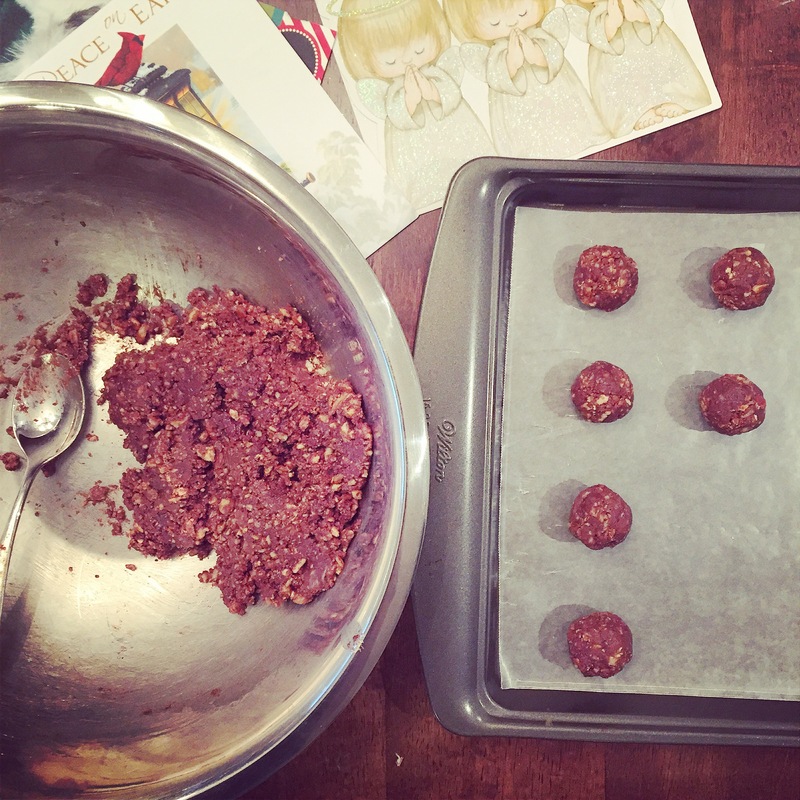 Once chilled, make 1 inch balls and place on cookie sheet lined with parchment paper. Place 4 ounces of chocolate and 2 tablespoons of butter in a heat proof bowl. Over a pot of simmering water, stir until melted. Pour into shallow bowl and dip balls into chocolate. Place back on cookie sheet.Tip: If you need more chocolate, melt another 4 ounces and 2 tablespoons of butter. 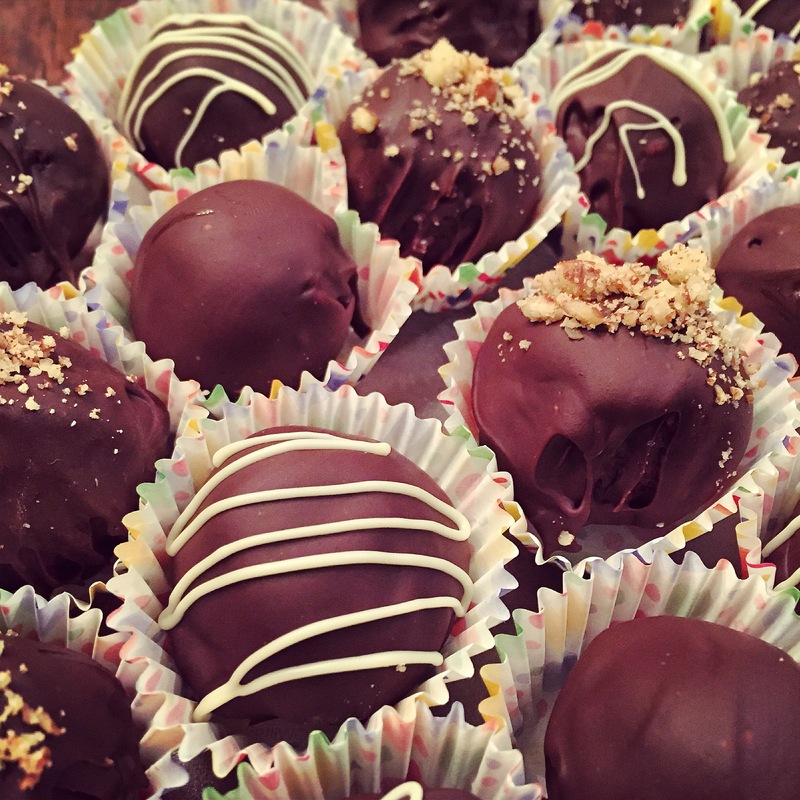 Once you have all the balls you want covered in chocolate, you may want to sprinkle some chopped nuts on some of them like I did. Then, stick in refrigerator until hardened. Once hardened, melt some white chocolate and drizzle over some of the balls. I like to do this because it makes them look fancy and they all look different 🙂 Enjoy!